Physiq was founded in 2007 with the hope to make fitness fun, affordable and life-changing. Physiq began with no more than a resistance band and a passionate goal to help people. Flash forward and Physiq has been voted the best gym in Mid-Valley for six consecutive years. We’ve set out to build the strongest Physiq we could so that our members can do the same. Treadmills. Ellipticals. Rowers. Stairmasters. The only thing you won’t find here is a wait for a machine. Personal Training. Team Training. Group Fitness Classes*. So many ways for you to find your fit. Adults aren’t the only ones who love going to the gym. 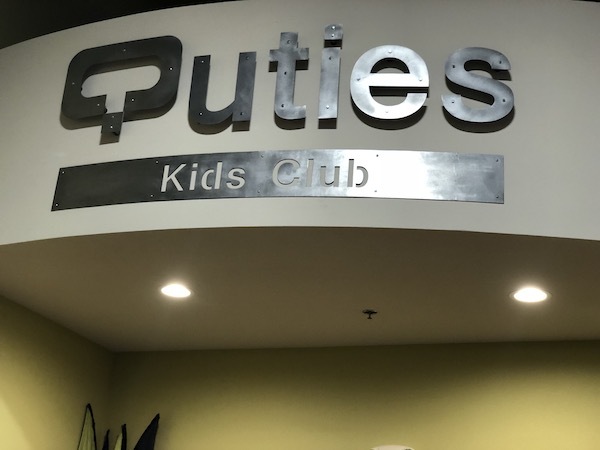 Childcare available at our awesome Qutie’s Kids Club. You can choose our basic plan, one that includes classes, or even throw in team training. Find yourself paying a lot less, and getting a lot more than you would anywhere else. Great gym, better price. Your health and fitness is all about you. Work out with a trainer to design the work outs you want to do based on the results you want. Sweat loves company. 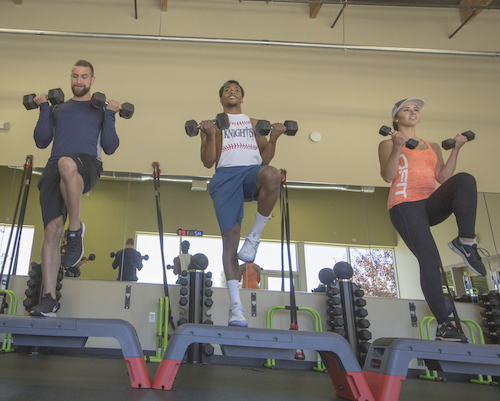 Work out in a small group environment and achieve big-time results with our QFit Team Training. Find strength in numbers in our wide variety of group fitness classes. What’s your favorite way to break a sweat? chances are, we’ve got it! Get the hamster-in-a-wheel feeling when you’re on a treadmill? 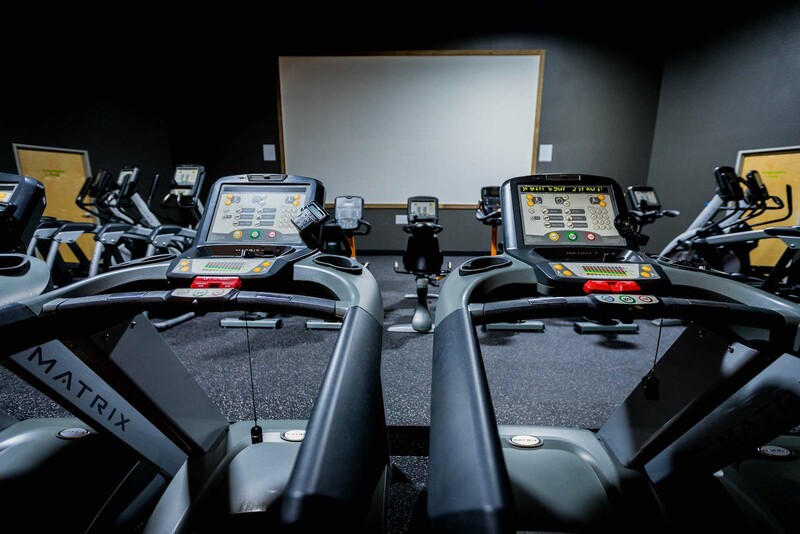 Make it more fun and catch up with the latest from the silver screen with our Cardio Cinema—a full-sized theater where you can run, walk, cycle or sweat your way through some of the latest and greatest blockbusters played on the big screen with awesome surround sound. All your missing is the popcorn. I really enjoy how everyone is so helpful! I like how everyone is welcome to do at their own pace and no judgmental going on, in fact I feel quite comfortable working out there. I look forward to meeting new people and learning so much from everybody there, I have not met one unhappy worker or customer yet. Good times working out in the theater room watching movies! Absolutely love this gym! The staff is always so friendly and helpful. I love that there is childcare! My son loves going and the staff treats him so well. I would absolutely recommend going if you are a working mom and want to stay healthy! Really affordable as well. The only thing I wish would change would be more childcare hours, especially on the weekends and Friday nights. Other than that I love this place! I love the atmosphere and the staff is very friendly. Like the fact that it’s cheaper and even when I don’t go I don’t feel bad because I’m not spending so much money. It also is close to home and the equipment is clean which is very important to me. Truly I like that when I walk in, I’d say around 85% of the staff know my daughter & I by name. I love that I don’t feel that typical gym stare I’ve felt many other places. Enjoy seeing people working hard & even seeing younger teens starting great habits now, go parents! I don’t personally take part in any of the classes but have seen some awesome things in action. I’m more than happy with the care provided for $10 a month! Very affordable & thankful for Physiq! I love this gym! It’s super close to work, the staff is friendly, the gym is pretty clean, and it’s never crowded. I enjoy the variety of weights I can use, but I wish they had more classes! High fitness is a lot of fun and really hard. Love how big the shower/bathroom area is in the ladies room. I also feel like I can always be helped at the front desk and that they aren’t too busy. I have recommended a few of my friends to come here! This is the Downtown location. It’s small but has nice equipment. One thing I notice, the employees are always cleaning. Big plus, I’ve tried other fitness centers and they are not as clean. Friendly, helpful.